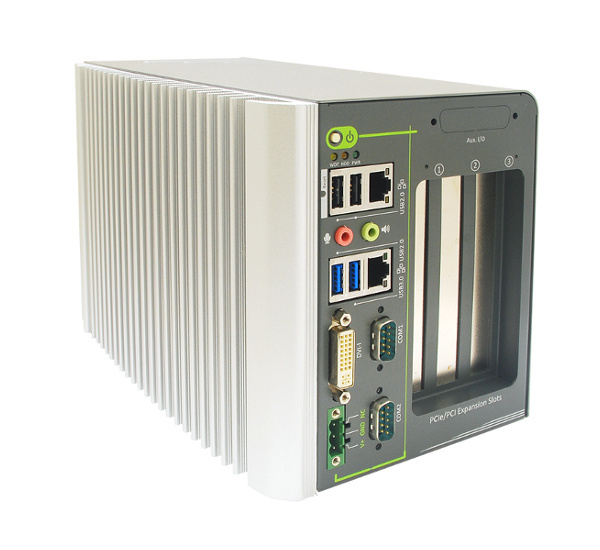 Nuvo-2400 is a fanless shoe-box IPC with 3 PCI/PCIe expansion slots. 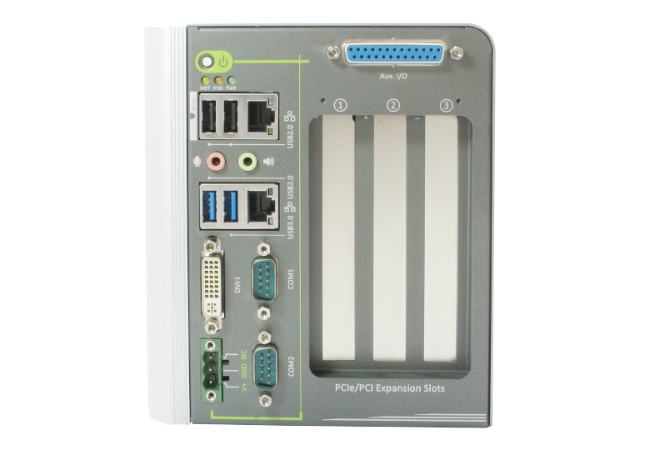 The expansion slots are provides for add-on cards, such as COM port cards and frame grabber. Nuvo-2430 provides 3 PCI slots, while Nuvo-2421 provides 1x PCIe x4 slot with 1-lane Gen2 signal and 2 PCI slots. A convenient design of Nuvo-2400 facilitates the integration of both remote on/off switch and the system status indicators. Few works has to be done to power on/off and know the status of Nuvo-2400 via an external control panel. Furthermore, 8-channel digital input and 8-channel digital outputs are provided as an option of Nuvo-2400. All inputs and outputs are isolated and 24VDC-rated. 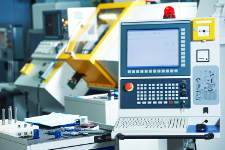 This makes the DI/O compatible with many industrial sensors, indicators, coils and actuators. Powered by Intel® Celeron® Bay Trail J1900 quad-core processor, Nuvo-2400 shows outstanding computing power and is even more power efficient compared to those with its predecessors. Nuvo-2400 supports dual independent displays, dual 2.5″ SATA bays and dual gigabit LAN ports with teaming and PXE. These features together with the 3 expansion slots, maximize the flexibility of Nuvo-2400 for even more generic applications.compact, expandable yet stable. Powered by Intel® Celeron® Bay Trail J1900 Processor, Nuvo-2400 Series shows outstanding computing power and is even more power eﬃcient compared to those with its predecessors. Thermal Design Power, TDP, of J1900 is only 10W and shows a score around 3 times to D525 and D2550. 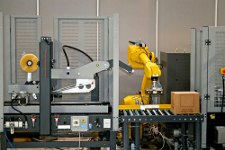 Performance of Nuvo-2400 can meet most industrial control applications. Nuvo-2400 has an ingenious mechanical design which gives consideration to small dimension, superior heat dissipation, flexible wall-mounting or DIN-Rail mounting, and intuitive pattern of use. Furthermore, its compact chassis can accommodate two 2.5″ SATA hard drives to expand your storage capacity. 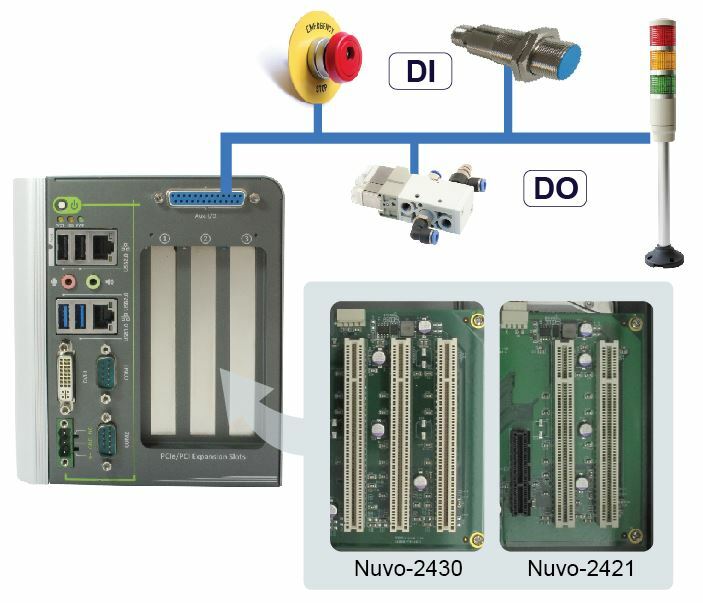 Nuvo-2400 provide rich I/O configuration for industrial usage. Dual independent display is provided via a DVI-I connector. Dual GbE ports supporting PXE and Teaming provides sufficient network connectivity and bandwidth. Dual SATA ports allow to separate the system and data storage, and maximize the stability and storage space. 8-ch isolated DI and 8-ch isolated DO are available as an option on Nuvo-2400 without an additional add-on card. 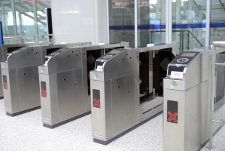 The expansion slots enable Nuvo-2400 to operate with more add-on cards and makes Nuvo-2400 suitable for various usage.